If you are you looking for a 6-month internship in Australia, you’re on the right website. 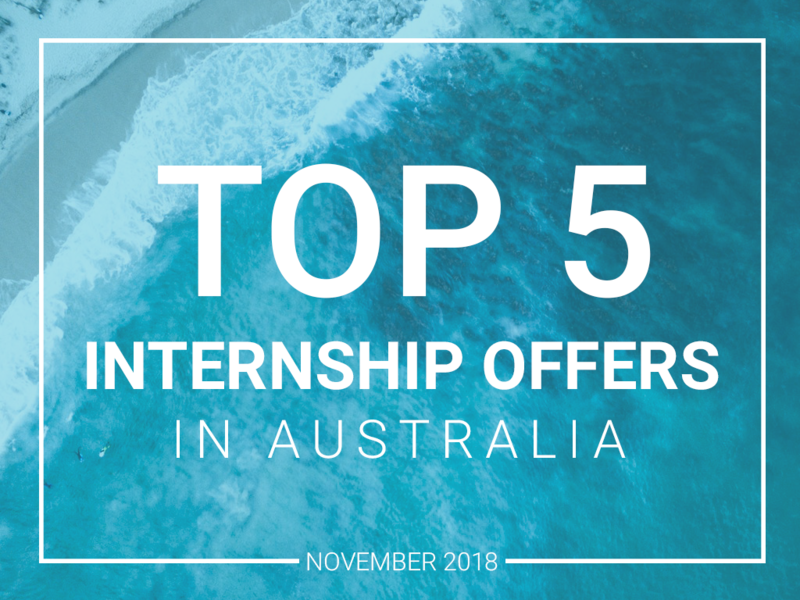 With Australiance, find your dream internship Down Under! 1. Campaign execution / Data marketing intern, based in Sydney. Target Market: National pick-up and delivery services for SMEs through franchisee network and e-commerce platform. This dynamic company and growing small company based in Sydney is looking for an outstanding Campaign execution / Digital marketing Intern to support the Marketing Manager. ● Participating to the overall digital marketing strategy of the company’s website. Australiance is a Sydney-based start-up founded in 2010 with many activities, among them proposing consulting solutions for international companies interested to settle Down Under, recruitment services, or organizing startup networking events (StartupAndAngels.com) and B2B conference (B2BRocks.co/Sydney). To support and develop our International Talent Acquisition solutions, we are looking for an intern from a Business School or University to take on the role of International Talent Acquisition Intern. Assist in any other ad hoc HR related projects such as team building, proceduredefinition, process design and implementation etc. This dynamic company based in Sydney is looking for an ambitious marketer that speaks e-commerce fluently to support the Marketing Manager in CX: User interface, User experience and Customer Experience. Working and performing the interface of the new system/platform of the company from a customer and franchisee operator perspective. Our client, an innovative start up in the wine and spirits industry that wants to become one of the champion in the alcohol industry, is looking for an energetic and highly motivated sales executive intern to help them grow and handle the festive season, an important moment of the year for them. Coordinate consumer and trade promotions to ensure stock turn once new distributions are achieved. Conduct promotional activations and consumer tastings. Build and maintain strong working relationships with customers and their staff. Train customers on the features and benefits of our products. Manage good stock level in store and location to maintain optimal stock level. Adhere to regular set call cycles. This fastest growing Fintech startup, that is revolutionising the industry with a best-in-class technology platform and suite of tools that take the hard work out of home loans – for their Customers and Brokers alike, is seeking for rigorous and versatile Junior Business Analyst to support their Operations and IT Support Teams. Understanding and reverse engineered banks’ financial modelling for loan assessment. Design and document the code logic for new builds to be able to reproduce the banks’ financial modelling in our own IT infrastructure. Testing the new functionalities developed for Customers and Brokers; ensure that they meet requirements and propose improvements to enhance Customers’ experience and Brokers’ productivity.